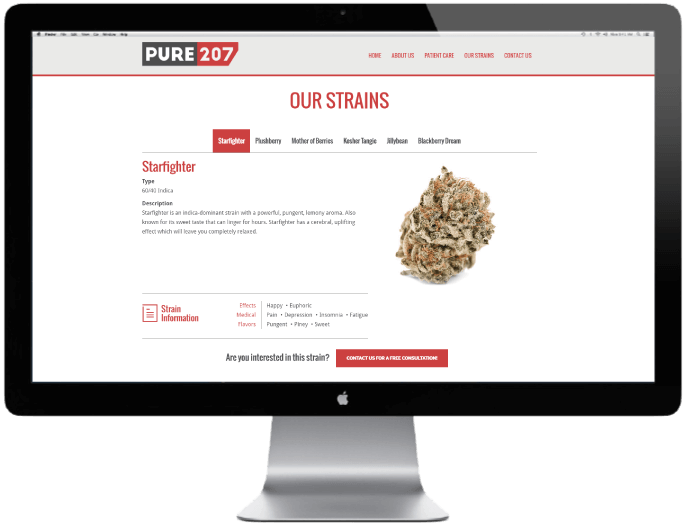 We designed a website and a logo for Pure 207. A patient focused medical marijuana provider in Maine. want to learn more about our branding services? Ready to take it a step further ? With a true passion for both marketing and cannabis, the BrandHigher team will drive any marijuana business to its full potential.